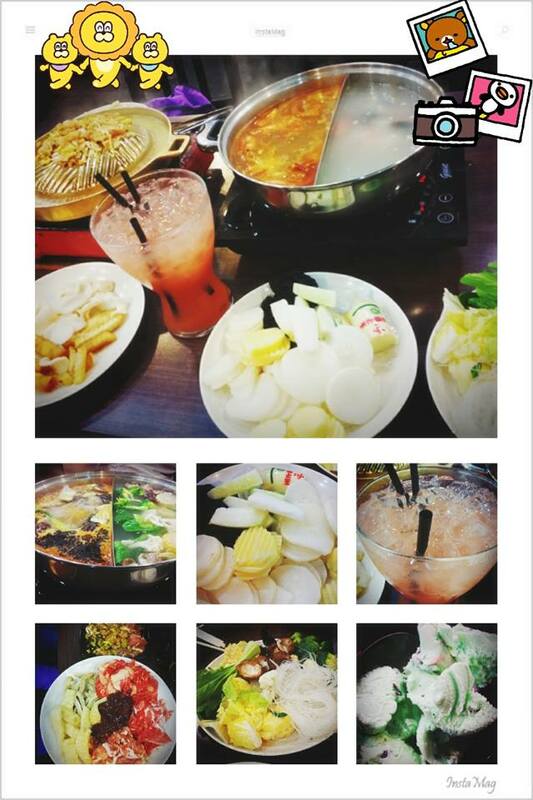 Mookata Charcoal Thai Steamboat at Vivo City, Singapore. Address: #03-07, 1 Harbourfront Walk, VivoCity, Singapore 098585. Friday’s night, after staying back and finishing up some works, there was a call for dinner and I did not know the location even when we took an Uber car to the place. When we reached the Vivo City drop off then I realised our dinner destination was at the west side, a place which recently quite popular by Pokemon players. Without any ideas what we wanted to eat, we walked around to look at the information counter as well as the restaurants around the first floor. Then, we decided to try the mookata. It is my first try of mookata in Singapore. 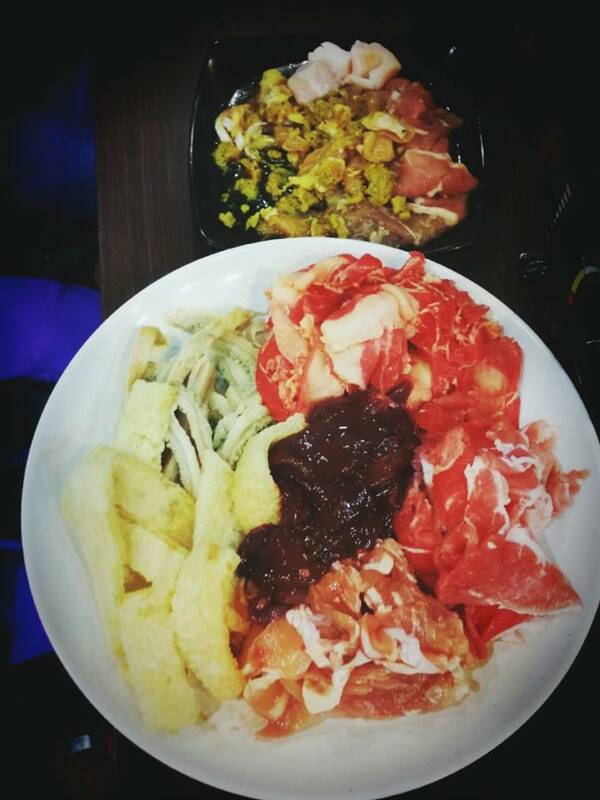 The word mookata derives from a combination of a Korean barbecue and a Chinese hot pot. In Thai language, Mu (moo) means pork meat and kata means pan or skillet. For Thai version of barbecue, they use charcoal. For this mookata restaurant which is located at the level 3 of the Vivo City, it does not use the charcoal. It is using gas. It is just a name of the restaurant. It is sad that this restaurant is not using authentic method to serve. The selection of meats and ingredients lay on the two rows of counters and another row of counters with cooked food and desserts. 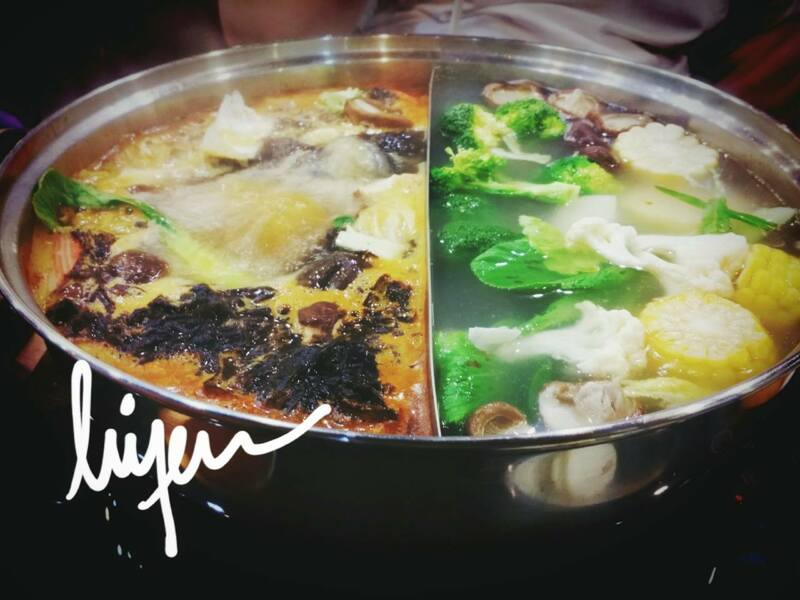 We put most of our meat on top of the steamer and the rest of the ingredients into the steamboat pot. It is optional to have the steamboat, the price differences is just minimal. There are various soup based, we chose the tomyam and chicken clear soup. We went for two rounds of meats and vegetables before we ended our dinner with desserts. On the other side of the steamboat, it is the Overall, the dinner was just another steamboat and I do not really enjoy the fun of mookata-ing, I am not eating it authentically with charcoal. Enter your email address to follow My Food-print and receive notifications of new posts by email.